A few rows here, and a few rows there. It's been so hot this week, but I've been enjoying the quiet evenings, just after the mosquitos come out, to sit and work on Cole's hat. The crown shaping has me stumped, wanting to add a little something more than traditional decreases. I'm guessing the twelve year old probably won't be as fond of the additions as me, though. Keep it simple, they say? He does love the design of it and that makes me very happy. 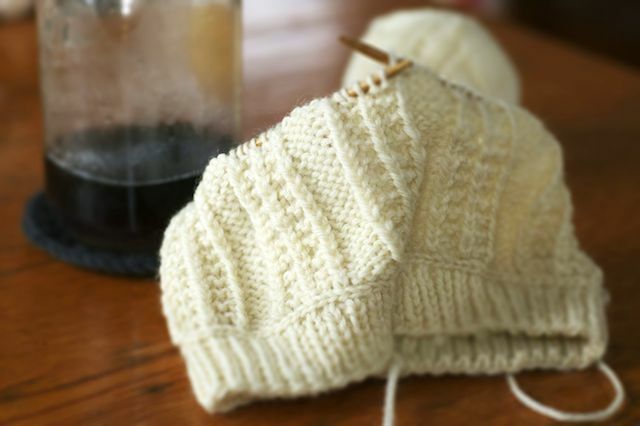 Are you knitting in the summer heat? What's on your needles?